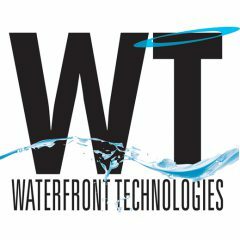 Database | Waterfront Technologies, Inc.
Providing on-line, web based systems for businesses and government for reporting, data collection, data warehousing, order processing, and resource gathering. This data can be used to build a web page dynamically or for marketing email blasts. Waterfront specializes in the knowledge of where effective web based processing begins and ends and how this interrelates with other appropriate IT architectures and legacy systems is key to our high success rate as an IT solutions provider. We have practical experience and specialized expertise at the design, development, implementation and maintenance of the full range of possibly needed systems (forms, database, HTTP, FTP, Mail, secure, LDAP, scheduled events, search collections, EDI). Designed and developed this beautiful site to showcase, help sell this idyllic destination area. Site hosts several scenic photo galleries. Site captures requests for information, lot visit requests and general interested customer information. Customer is able to enter and update lot information that is displayed in a dynamic format. Event information is also enterable and displayed on the event summary page.